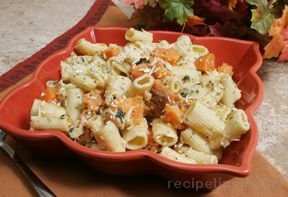 An aromatic, spicy herb that is native to the Mediterranean regions and Asia, which is also grown throughout the world. 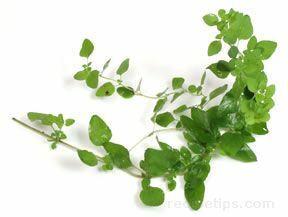 Typically, the common Oregano is the Mediterranean variety, however there is also a Mexican variety. Mexican Oregano, which is grown from a different species of plants, is spicier and adds a more pungent flavor to chili, salsas, tomato dishes, and sauces. While the taste of Mediterranean Oregano is sweeter and resembles that of marjoram and thyme, Mexican Oregano is more earthy and spirited, best suited for the spicer Mexican dishes. Although Oregano is often associated with Italian cooking, it is not actually used in many Italian dishes. The most common use is in tomato-based dishes, but it is also very enjoyable for seasoning roasts, broiled pork, poultry, lamb, veal, pasta, pizza, soups and vegetables such as broccoli, eggplant, lentils, and zucchini. To prepare this herb, the Oregano sprigs should be collected while the plant is blooming and can be used fresh or dried. Oregano dries well and if stored in an airtight container away from direct light, it will retain its flavor for up to a year. Fresh Oregano should be wrapped in paper towels and placed in a plastic bag and stored in the refrigerator. To chop fresh Oregano, hold the stems and gather leaves into a tight, dense bunch. Using a sharp knife, cut across the gathered bunch to chop coarsely. When all the leaves have been chopped, discard the stems. To mince, take coarsely chopped leaves, with a rocking motion start moving a sharp knife blade back and forth across the leaves until they have been cut to the desired size and cut.